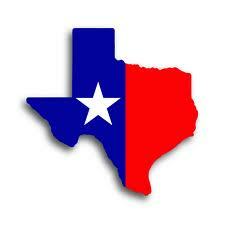 Did you know that Texas, the mainland U.S.A.'s largest state, was its own country during the mid-1800's? What if Texas resumes being its own country, liberated from the U.S.A.? Texas' economy would be somewhere around the world's 14th largest, and arguably even larger due to its liberation from Washington D.C.'s spendthrift, vote-buying ways. Indeed Texas, thanks in part to its Constitutional ban against a state income tax, still creates the vast majority of new jobs in the U.S. Meanwhile Texas is the only U.S. mainland state with its own electricity / power grid, and it has abundant petroleum and agricultural resources too. Texas also has the U.S.A.'s most commercially active port, the world's largest medical center and a growing commercial space sector that could succeed without, if not altogether outperform (jealously monopolistic and bureaucratic) NASA. Interestingly enough, in 2015 Texas' legislature established the first state-run gold depository in the entire U.S.A. As far as national defense goes, the Lone Star State already has the Texas State Guard (which answers only to the governor), the Texas National Guard, the Air Guard and the Texas Rangers. 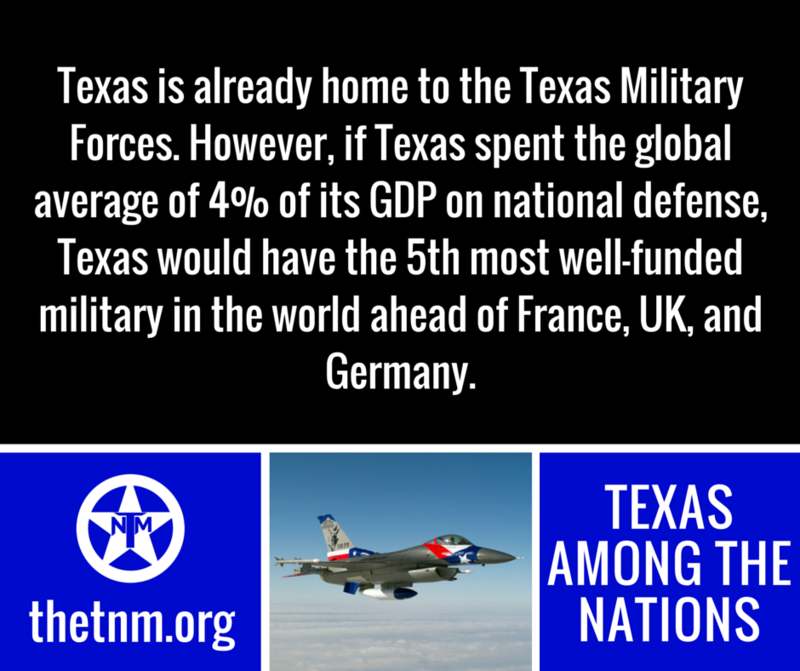 Texas also sends lots of folks to the federal government's military as these statistics help show. Should Texas continue getting its future increasingly mortgaged by central planners over a thousand miles away in Washington D.C.? Why does Texas not resume being its own country so that it can better focus on paying down its own debts? Isn't it time for a Texit? Have you seen the new Texas Referendum Act yet? Would you like to see the Texas secession referendum issue make it onto a major political party's upcoming primary ballot? 48% of Texas Republicans surveyed already favored secession? Have you seen the Texian Partisan's pro-seceder endorsements of Texas politicians for the 2018 elections yet? Can you believe how much larger Texas is than some prominent countries around the world? Did you know that the Texas Constitution says the following? they have at all times the inalienable right to alter, reform or abolish their government in such manner as they may think expedient." of questions & answers regarding secession here. Did you know that the Libertarian Party of Texas' platform officially states the following? Libertarians fully support the rights of the people to alter their form of government. independence and being allowed to vote accordingly to reassert Texas’ Independence." Would you like to see the latest secession news from around the globe? 42 have resulted in a new independent country being formed – with two of the remaining four “no” results later reversed". who reportedly say that they favor Texas' secession. of Texas politicians for the 2018 elections yet? Who else deserves Texas secessionists' consideration? Or at the very least, what if mere portions of Texas secede? By the way, state sovereignty resolutions are getting passed throughout the USA. Here's a list of activist states and their sovereignty resolutions. Scotland's secession push has increasingly inspired secession debates throughout the globe, including in Texas. Please feel free to share this potentially thought-provoking site with others.